What could possibly be better than the iconic, fun-to-drive Beetle? That’s easy — two of them. 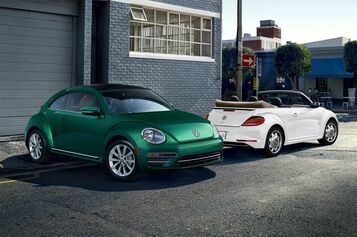 Take your pick from the always-classic coupe or the sun-loving convertible. Then enjoy the comforts of modern technology with the spirit of an old soul. This Beetle is the perfect one-two punch. It’s an icon and an original, once again. That’s because we gave this classic some modern touches. Like a 2.0L TSI® 174-hp turbocharged engine. Available Bi-Xenon headlights with LED Daytime Running Lights in front and LED taillights in back. Plus a 6-speed automatic transmission to put everything into high gear. * The Beetle shows that fun never goes out of style. Lines drawn to draw attention. What do you get when you cross iconic design with modern features like stylish bumpers and available Bi-Xenon headlights? You get a true original, once again. The Beetle has always been ahead of its time. And we’ve taken its iconic look to the next level. 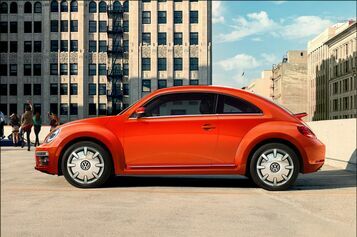 The Beetle unites classic styling and modern technology. 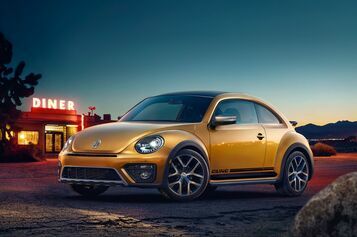 1 Starting MSRP of $20,220 for a 2018 Volkswagen Beetle S 2.0L TSI® with 6-speed automatic transmission. Prices exclude transportation, taxes, title, other options and dealer charges. Dealer sets actual price.